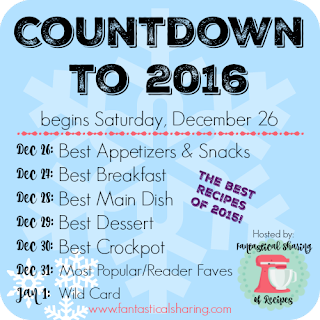 Today's Countdown category utilizes the best tool in the kitchen: the crockpot. See what fantastic slow cooker recipes are being shared today! This upcoming year is going to be filled with a lot of crockpot recipes. I almost had to double take when I looked at the very small amount of recipes I had in the crockpot category in 2015. I used the crock out of my crockpot this year. Especially once school started and both kids joined scouts. I'm also very excited to see what other crockpot recipes made the "best of 2015" for my pals joining in today. Easy Crockpot Spaghetti Sauce - I love this spaghetti sauce. It's one of my favorite recipes for it. It's meaty & hearty with the perfect balance of flavors, so that is isn't too tomato-y. 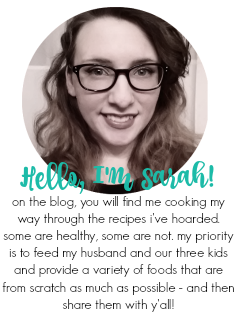 Slow Cooker BBQ Ribs - I had never made ribs before, so my thought was to try it in the crockpot first so that I didn't mess them up. They also can go under the broiler, which we did, to get that last little crispiness to them. You can use different bbq sauces to change up the flavors which is perfect for appeasing whomever you are making them for. 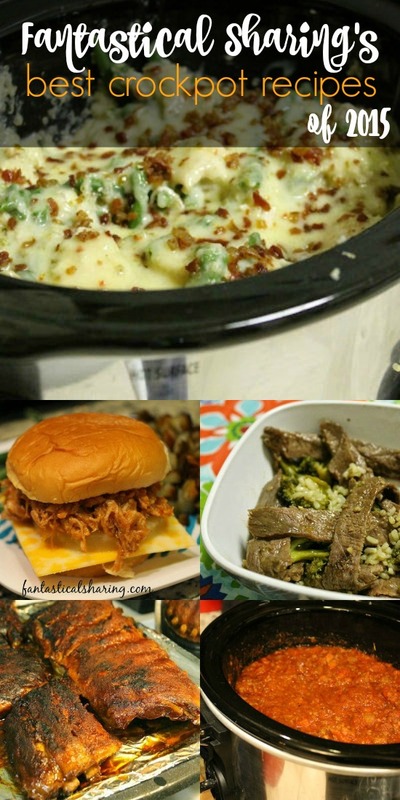 Crockpot Creamy Chicken & Green Bean Casserole - Another first for me was quinoa in the crockpot. This recipe also has gouda, pepperjack, and bacon. Really delicious - lots of flavor. I think it's hard to make something in the crockpot that is flavorless...right?! Slow Cooker Beef & Broccoli - We love Asian-style recipes in our house and we love really simple ones like this beef & broccoli recipe!